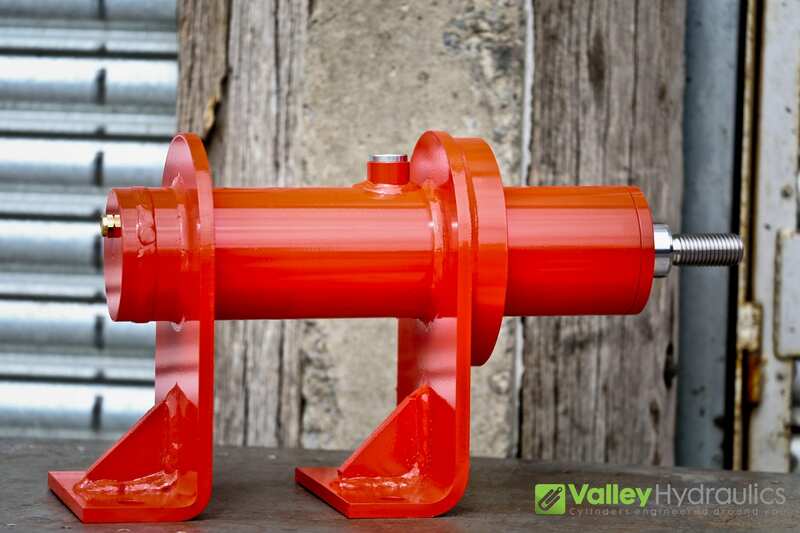 Have only one oil inlet port to either extend or retract the hydraulic cylinder using hydraulic power, once full stroke is hit the movement to return the cylinder to its start position is usually achieved by using the load lifted, gravity or a spring. 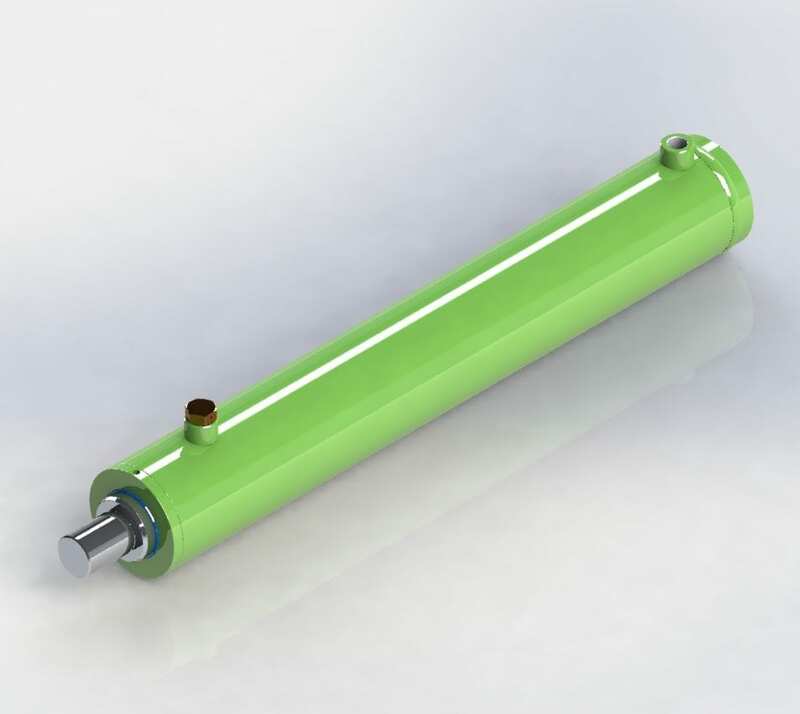 An additional port is usually added on the non-oil side of the tube, this allows the hydraulic cylinder to breathe air in and out as it is extended or retracted. 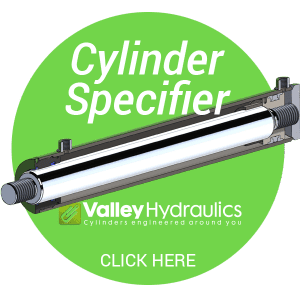 Usually this port would be fitted with either a breather or a hose that would connect this area to the hydraulic tank, this is to reduce corrosion issues caused by moist air being drawn in and out of the cylinder tube.